Power Stamp Alliance members are all experts in power conversion for Open Compute Project (OCP) data centers. The Founder Members are (in alphabetical order) Artesyn Embedded Technologies, Bel Power Solutions, Flex and ST Microelectronics. Artesyn Embedded Technologies is a global leader in the design and manufacture of highly reliable power conversion solutions for a wide range of industries including communications, computing, consumer electronics, medical, aerospace and industrial automation. Embracing the well-known Astec brand, Artesyn’s extensive AC-DC portfolio includes many models with medical approval and built-in intelligence, and the company is a leader in DC-DC converters. For over 40 years, customers have trusted Artesyn to help accelerate time-to-market and reduce risk. Headquartered in Tempe, Arizona, Artesyn has over 16,000 employees worldwide across ten engineering centers of excellence, four wholly-owned manufacturing facilities, and global sales/support offices. Bel Power Solutions, a Bel group, offers world-class AC-DC and DC-DC power conversion products, value-add solutions, complete box-build solutions and contract manufacturing services. Applications of our power conversion devices range from board-mount power to system-level architectures for servers, storage, networking, industrial and telecommunications industries. Bel is headquartered in Jersey City, New Jersey. Founded in 1949, Bel designs, manufactures and markets products that power, protect and connect electronic circuits. 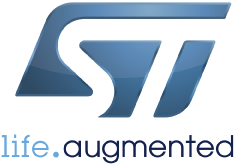 STMicroelectronics is a global semiconductor leader delivering intelligent and energy efficient products solution that power the electronics at the heart of everyday life. ST's products are found everywhere today, and together with our customers, we are giving a positive contribution to people's lives, today and into the future. ST power management IC technology and architecture are driving the PSA products enabling high efficiency, high density and energy proportional 48V direct power conversion in the next generation data center. Offering one of the industry's broadest product portfolios, ST serves customers across the spectrum of electronics applications with innovative semiconductor solutions for Smart Driving and the Internet of Things. The full rules of engagement are available to active Power Stamp Alliance members. This is a summary of the key tenets of the alliance. Members will cooperate on mechanical details of new platforms during the concept stage. This includes dimensions, footprint, pin locations and function. This information will be consolidated into the Power Stamp Alliance standards. Members will share feature set functionality information and other information to ensure that functionality integral to the overall design will be compatible (e.g. fault protection, pins description, features, etc.). Members will share non-confidential customer board interface requirements, those affecting pin compatibility, in the initial design phase. Regarding a given standard (i.e. the power stamp module), all members will have to comply with the same external connections among modules and the same external bill of material regardless of the custom implementation of the given module. Output filter solution (i.e. output filter decoupling capacitors) can be an exception to the BOM compatibility. Members are not obligated to share technical information they consider proprietary unless agreed to under a separate arrangement. This includes intellectual property, circuits and layout details. In addition, to insure competitiveness between Power Stamp Alliance members, performance information (although often publicly available) such as efficiency, thermal performances, power levels, power density, EMI and transient response, will not be considered public. Members will not share information relating to price, costs, production capacity, market share, key suppliers or market or competitive strategy. Products are permitted to carry the Power Stamp Alliance brand (space permitting) only if there are at least two Power Stamp Alliance members producing products meeting the same PSA standards. Pin assignment, connections and/or footprint modifications of an existing and agreed standard will lead either to the definition of an additional new standard or to the modification of the existing standard only if agreed by all the members. Members will use the Power Stamp Alliance standard for customer interface form, fit and function for their standard products that carry the Power Stamp Alliance brand. This to encourage, but not require, the ability to source from multiple suppliers across a standard platform, rather than as a unique or optional feature. Membership to the Power Stamp Alliance will be opened to those businesses that are considered by existing members to add value towards the purpose of the alliance. If you are interested in joining the Power Stamp Alliance, please contact us. Applicants for admission will be considered at each alliance meeting and voted on by the members. Approval for admission will require a majority vote including at least one of the Founding Members. New members may be admitted for specific products or product families. All members will have the right to terminate participation in the Power Stamp Alliance at any time.